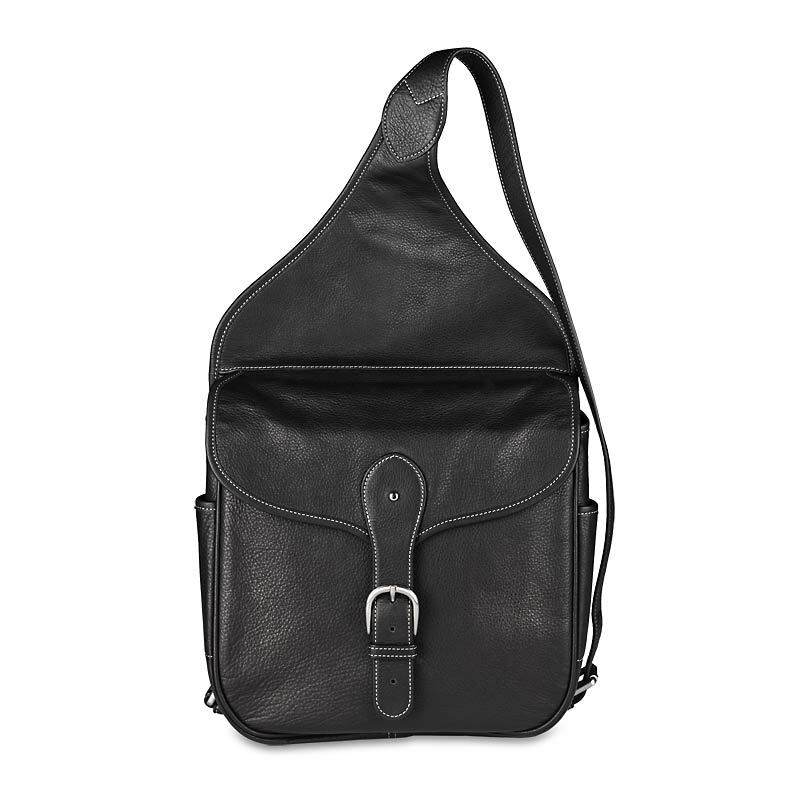 Just finished getting ready a Levenger Saddlebag Sling Bag in Black Leather for this First Saturday, come by and look it over and maybe take it home. It will be priced below half price and it is in like new condition. You will be proud to own it! As is normal for us we only have one to sell. 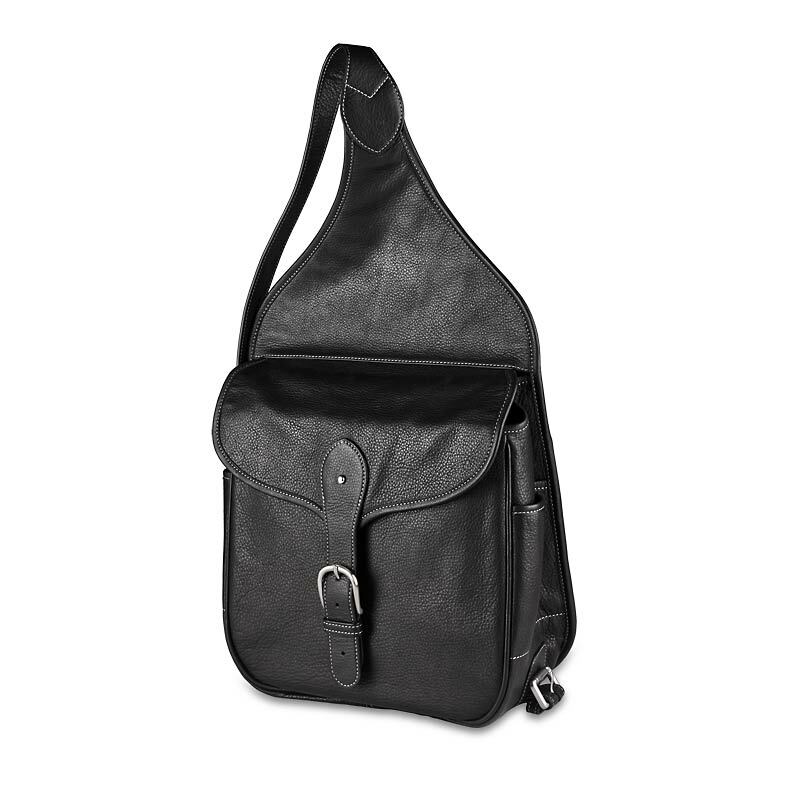 A stylish and lightweight leather iPad bag and more! 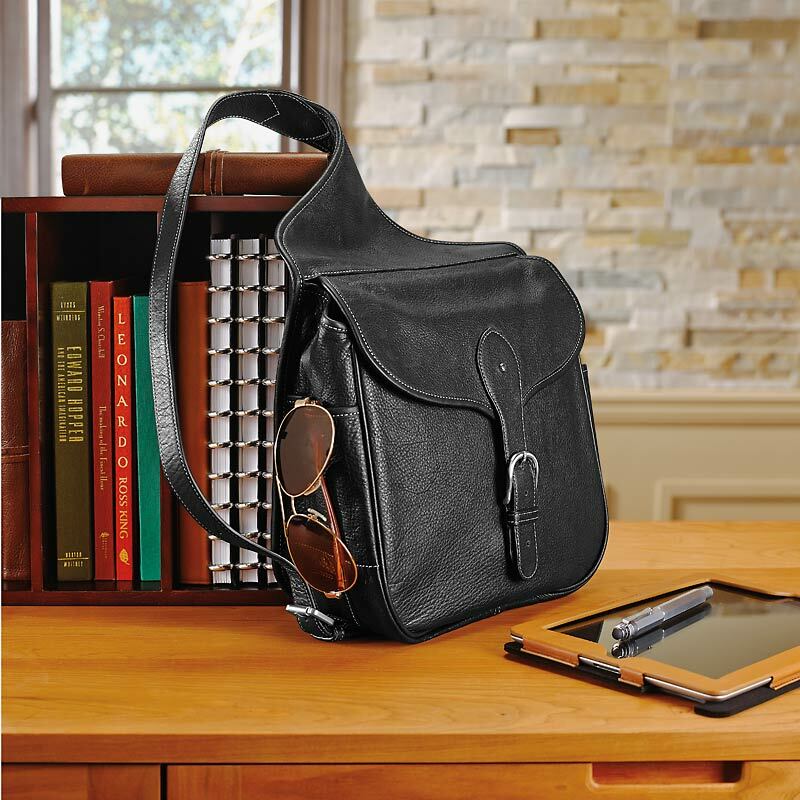 Here’s an easygoing way to carry your tablet computer and a few essentials—just sling this lightweight leather saddlebag over either shoulder. 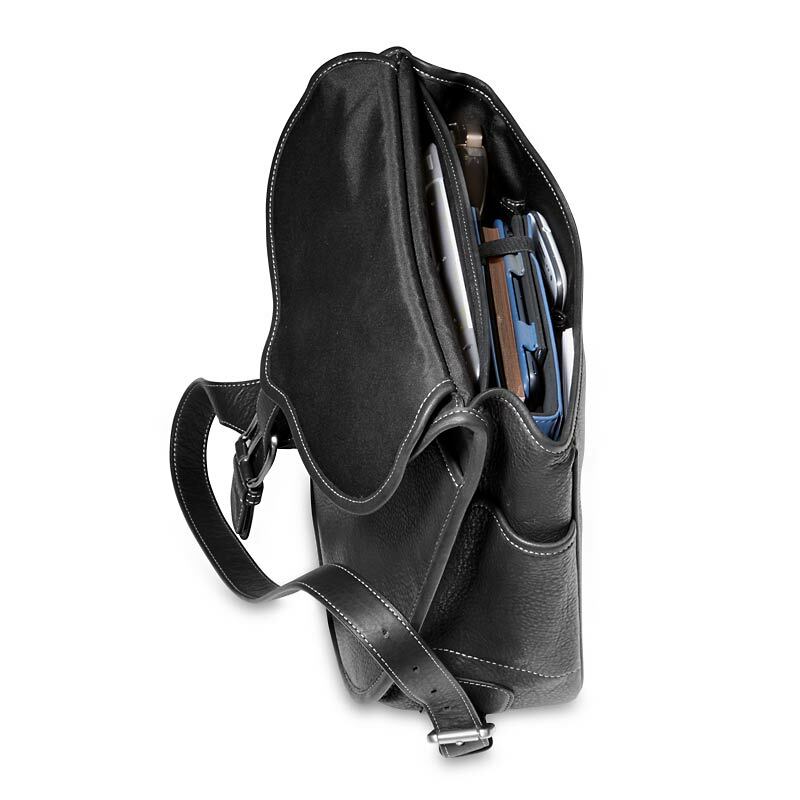 Crafted in silky-soft full-grain leather, au naturel to bring out the expressiveness of the grain, the Saddlebag iPad Sling offers lots of storage for your daily travels.